If you are a new member, your membership gives you access to a lot of new things! This guide will cover the basics to becoming a member for the first time, including new ways to make money, interesting cities and locations, and quests that will unlock new abilities, skills and places. New Areas. Everything west of Falador, south of Al Kharid, north of level 48 Wilderness and east of the Earth Altar is members-only. New Items. New quest items. New food. New teleports, such as the games necklace, Ring of Duelling, and Amulet of Glory. New armour, such as Dragon and Barrows. New weapons, such as Abyssal Whips and Godswords. New Quests. Roughly 10 times the quests of F2P and they go much more in depth, with better rewards. New Skills. Construction, Summoning, Fletching, Herblore, Agility, Slayer, Farming, Hunter, and Thieving are there for you to explore. Updated Skills. Huge sections of Runecrafting, Crafting, Smithing, Cooking, Fishing, and more open up to you, such as making Nature Runes! 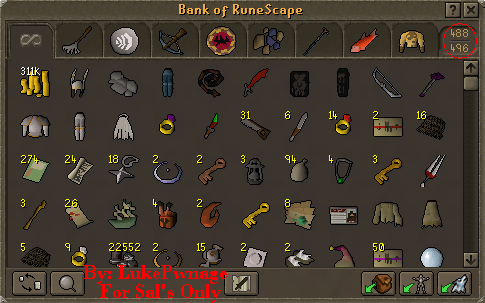 Updated Bank. Way more bank space is available for you to use! More Monsters and Dungeons. Fancy killing a level 702 TzTok-Jad? More Activities. Try out Castle Wars, Pest Control, and Soul Wars! Okay, so you're now officially a member. How can you make the money for some of the awesome items you see other people walking around with? Or perhaps you need money to train skills with, or to do a quest. Here are a few of the ways you can make money. West of Catherby are the flax fields. 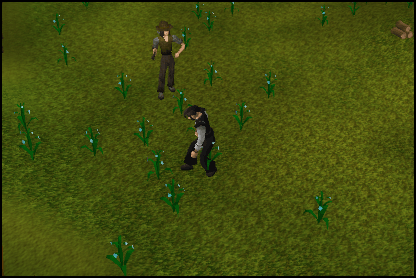 Flax usually fetches 80-100 coins each at the Grand Exchange. 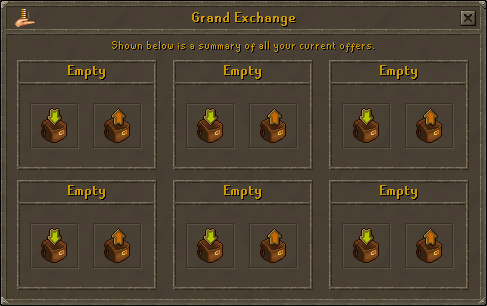 You can buy the flax at the Grand Exchange or pick it yourself. Spin it at Lumbridge Castle or the Seers Village. Bowstrings are 180-200gp each on the Grand Exchange. Requirements: Level 30 Mining, completion of Rune Mysteries. 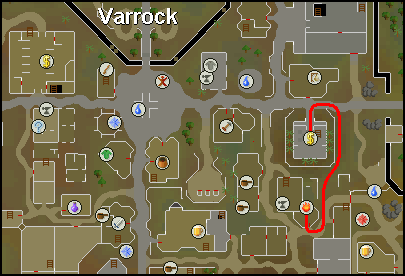 Mine this in Varrock (if you have a level 66 magic mine it at Yanille). It usually sells for around 150 gps each on the Grand Exchange. 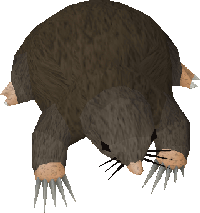 Kill these in the Wilderness or the Chaos Tunnels for their dragonhide and bones which sell for about 2,000 gp each on the Grand Exchange. Once you get 91 Runecrafting you can make loads of money off Double-Nature crafting. A rare drop from certain monsters that leads you on a treasure hunt! Some of these can be worth millions! For detailed information on each of these methods, and for more money making techniques, check out the Money Making Guide. So now you have some cash. It's time to show you around some of the big cities that are members-only. First off is Taverley. 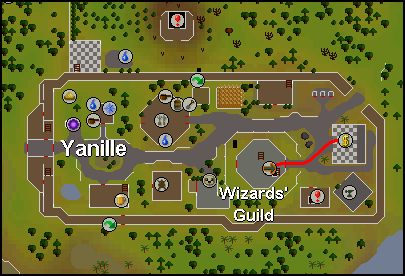 This city is northwest of Falador and is home to the Taverley Dungeon, as well as the starting point for the quests Druidic Ritual and Wolf Whistle, both of which open up new skills. Next off is Burthorpe, which has the Burthorpe Games Room in it. Next is Catherby, which is west of Taverley, and is the main fishing spot in the game. Northwest of Catherby is Seers' Village and Camelot. This area is excellent for cutting Maple Trees. South of that is Ardougne, which is one of the largest cities in Runescape, as well as the Thieving capital. By now you should have some money and your bearings. "What to do now," you may ask? This is a good time to explore the new skills available to you. After you complete the Wolf Whistle quest you have the option of summoning familiars to aid you in battle, carry stuff for you, spawn items for you, and many other things! All you need to summon is a pouch. Use it and your familiar will come out. Scrolls are then needed for it to use its special move. With this skill all you need are a few basic items, a farming patch, a little patience, and voila you got your crops. Higher leveled farmers can grow good herbs for big bucks! Make your own potions with this skill. To start this skill you need to complete the quest Druidic Ritual first.Get a water filled vial, add a herb and a secondary ingredient, and you got your potion. Note: In RuneScape Classic this was called "Herblaw". If you hear this don't get confused as it's the same thing. Shortcuts are all in a days work with a little agility. It give you access to shortcuts, new areas, and longer running time. Train this at any agility course. Build your own mansion with the construction skill. Purchase your land from the real estate agent and you may eventually have throne rooms, teleport rooms, and dungeons at your disposal! Grab yourself a knife and logs and you're ready to fletch! With this skill you can make your own arrows, bows, and crossbows! A good place to fletch is Draynor Bank because you can usually find people selling willows there. Hunting is used to catch animals using tracking, nets, traps, and birds. You can also make and wield new armor and weapons using the animal pelts. You go to a slayer master to get an assignment and you kill what they tell you to. Later in the skill you get the levels and equipment to slay special monsters for big bucks. The thieving skill lets you pick pockets, loot treasure chests, steal from stalls, and many other criminal activities. Not extremely profitable, but useful. This quest gives you access to the Herblore skill. Allows the use of the Ancient Magicks spellbook. Lets you use the services in Rellekka. Allows you the use of the Tree Gnome Stronghold Spirit Tree as well as the Gnome Gliders. Permits entrance into the guild and allows you the use of the Dragon Battleaxe and Dragon Mace. Allows entrance to the city of Zanaris, and gives the ability to wield the Dragon Dagger and Longsword. Allows the use of the Lunar Magic spellbook. Lets you use the Spirit Trees as a transportation method. This quest gives you access to the Summoning skill. At least start this quest to gain access to the Fairy Rings. A fearsome level 702 beast. When you beat it you receive the rare fire cape. After you complete While Guthix Sleeps you have access to these, which drop dragon armor parts. 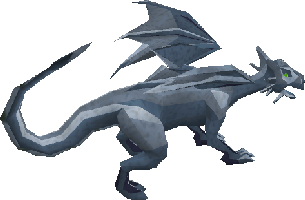 A powerful creature under Falador, these drop dragon items. 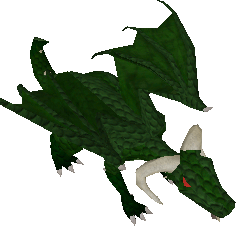 These drop Dragon items and Draconic Visages. Now that you are a member, you should go out and do something fun... but what should you do? Castle Wars! Castle Wars is a capture-the-flag game, where one team is trying to take the other team's flag. But, it's not that easy; you have to run to the opponents fort (which is on the other side of the arena! ), avoid scary god swords and ice barrage's, and not die... are you up to the challenge? Of course, you might be wondering, "What's in it for me?". Well, not only do you get the excitement of seeing the other players that you slay in combat fall before your feet, you also get Castle Wars tickets. These tickets can be cashed in for shiny decorative armor or good looking capes and hoods. So, if your a person that is a tactical genius, has mind blowing power, or just wants to have fun, then this is the game for you! 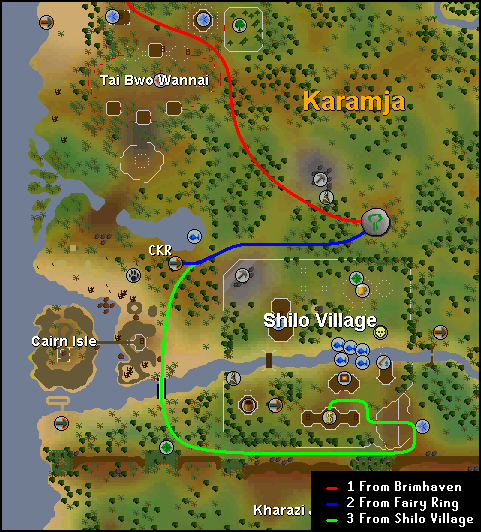 For detailed information, check out the Castle Wars guide. Pest Control is a multi-player game that involves teamwork and co-operation between players. It can be accessed from the Void Knights Outpost (see "How to get there" section for details on how to find the game). The only requirement that you need to be able to play the game is 40 combat, but if you are a higher level then you will be able to get better rewards if you win. It is a safe game so if you die you won't lose any items other than the Runes and Arrows that you have used to attack your enemies. Soul Wars is an Activity similar to Castle Wars, where it is located in Edgeville only on member worlds. However it's designated worlds are 44, 143 and 145. Just like other Activities, there are, of course, rewards you can win, ranging from experience for all of your combat skills (excluding Summoning) to having one of your slaughtered creatures from Slayer to become a familiar to gambling and winning up to 100,000gp! Q: What happens to my skills and my items if my membership ends? A: If and when your membership runs out your stats will be kept the same but your member items will turn into a "Member's Object". The only way you can use these is by being on a members server. Q: I am pack-rat and keep everything I find. My membership ran out, but I can't seem to put anything in my bank. What's wrong? A: Since Freeplayers only 68 bank spaces, you won't be allowed to deposit anything until you have 67 or under items in your bank. Q: How can I get a free membership? If you ever see someone advertising this, it is 100% against the rules and probably a scam. Never go to websites like these, and always report someone in-game for advertising this. Q: Does getting a membership make me a Moderator? A: No, it does not. You will still have to show that you have the maturity and helpfulness of a Moderator to be considered. Asking will not help. Q: Can a friend pay my membership for me? A: Yes, he/she can. They can buy you a RuneScape gift card, good for 30 or 90 days at Target, Walmart, and 7-Eleven. Basically any other way of paying for it, unless your friend gives you cash, is against the rules.